Microsoft denied 15 million PC users the chance to choose their browser. European regulators have fined Microsoft about $730 million for failing to honor an agreement to give users a choice of Internet browser. The EU warned the software giant last October that it faced a hefty fine after an antitrust investigation launched in July found Microsoft (MSFT)had breached a five-year commitment to give European customers a choice about which browser to use. "Legally binding commitments reached in antitrust decisions play a very important role in our enforcement policy because they allow for rapid solutions to competition problems," said Joaquin Almunia, the European Union's top antitrust official. "A failure to comply is a very serious infringement that must be sanctioned accordingly." This is the first time the European Commission has imposed sanctions for a breach of a legally-binding commitment made in the context of an antitrust investigation. Almunia said the size of the fine should act as a deterrent to others. Microsoft shares fell 0.7% in pre-market trading, as Nasdaq futures moved 0.3% higher. Wednesday's fine could have been significantly larger. The EU has the power to impose fines of up to 10% of annual revenue, or about $7 billion in Microsoft's case. Under the pledge, dating back to 2009, PC users setting up Windows for the first time were supposed to see a "choice screen" offering 11 different browsers, including Microsoft's own Internet Explorer. The prompt disappeared following an update to the Windows 7 operating system in February 2011, depriving 15 million users of a choice. 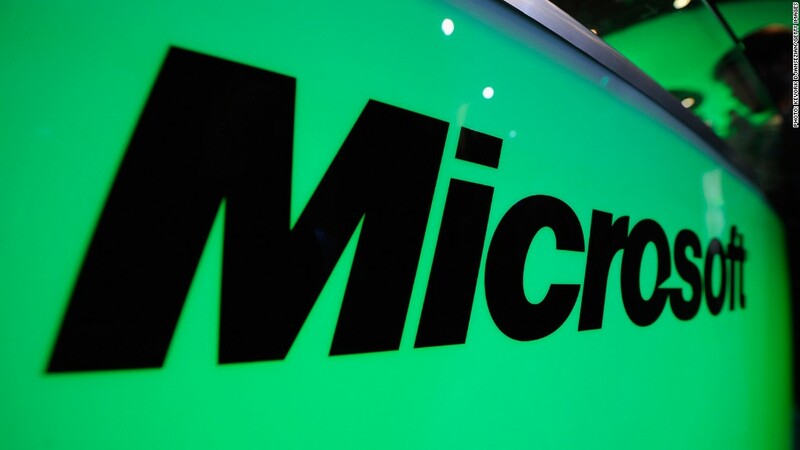 Microsoft has apologized for what it described as a "technical error," which lasted 14 months to July 2012. The company said it fixed the problem as soon as it was made aware of the error. "We provided the commission with a complete and candid assessment of the situation, and we have taken steps to strengthen our software development and other processes to help avoid this mistake -- or anything similar -- in the future," the company said Wednesday. The U.S. company has a long history of legal battles with the EU. In the last 10 years alone Microsoft has been fined over 1.6 billion euros for abusing its dominant position in the market for PC software. Microsoft faced similar antitrust lawsuits in the United States in the 1990s and early 2000s over its tactic of using its dominant position with Windows to promote its Internet Explorer browser over rivals like the now-defunct Netscape Navigator. Since then, Microsoft's share of the browser market has fallen sharply as alternatives such as Google (GOOG)'s Chrome and Mozilla's Firefox have grown in popularity. Microsoft is not alone in facing intense scrutiny by EU antitrust authorities. Google is still waiting for the outcome of a three-year probe into its search business, despite being cleared in January in a similar U.S. investigation. And EU data protection authorities said last month they would take action against Google unless the company moved to allay concerns about the privacy of user data.